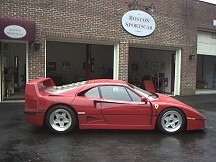 The BOSTON SPORTSCAR Company is easily accessible from all major interstates in the Boston area. From Boston take the Massachusetts Turnpike (I-90) West to Route 128 (I-95). Take Route 128 North to Exit 26 (Route 20 Waltham/Weston). Proceed around the rotary and follow Route 20 West towards Weston. At the first traffic light make a right onto School Street. Follow School Street to the first intersection and make a left onto Boston Post Road. Follow Boston Post Road through Weston Center. We are the red brick building on the left hand side, number 596. From Worcester and Points West take the Massachusetts Turnpike (I-90) East to Route 128 (I-95). Take Route 128 North to Exit 26 (Route 20 Waltham/Weston). Proceed around the rotary and follow Route 20 West towards Weston. At the first traffic light make a right onto School Street. Follow School Street to the first intersection and make a left onto Boston Post Road. Follow Boston Post Road through Weston Center. We are the red brick building on the left hand side, number 596. From Providence and Points South take I-95 (Route 128 in Massachusetts) North to Exit 26 (Route 20 Waltham/Weston). Proceed around the rotary and follow Route 20 West towards Weston. At the first traffic light make a right onto School Street. Follow School Street to the first intersection and make a left onto Boston Post Road. 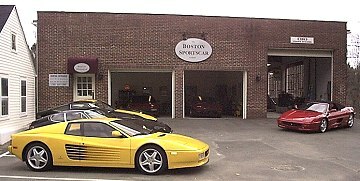 Follow Boston Post Road through Weston Center. We are the red brick building on the left hand side, number 596. From New Hampshire/Vermont and Points North take I-95 (Route 128 in Massachusetts) South to Exit 26 (Route 20 Waltham/Weston). Proceed around the rotary and follow Route 20 West towards Weston. At the first traffic light make a right onto School Street. Follow School Street to the first intersection and make a left onto Boston Post Road. Follow Boston Post Road through Weston Center. We are the red brick building on the left hand side, number 596. Please visit us soon. 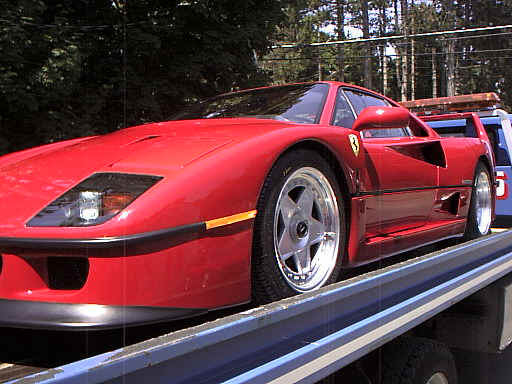 If you have any trouble finding us, do not hesitate to call (781) 647-7300.